The explosion of productivity apps, mobile or otherwise, have changed the way workers across all industries complete their duties and interact with their employers. According to one study, the manufacturing sector saw a 41% growth in its use of cloud apps, while the healthcare industry’s app growth was 36 percent. Using apps to track time and attendance of workers is just one way that employers are automating their labor and payroll administration. While the cloud-based model of software delivery is a winner for fulfilling so many business operations, there are some drawbacks to using an app to track time and attendance data. Companies need to assess these challenges before committing to a system that only provides app-based time tracking. One of the main selling points of the cloud-based model is the promise of 24/7 availability of the app to collect and deliver information where it’s needed. The app requires less technical support than software sitting on a local server, so it puts less pressure on company IT departments to maintain. However, the app still needs the power and network connectivity to operate. What business hasn’t suffered from network slowdowns, shutdowns, and full-on power blackouts? If workers only have an app for clocking in and out, the entire process of automated time and attendance collection breaks down with a network or power outage. That means the company has to have costly, inefficient work-arounds for gathering manual attendance times, which will likely be rife with the sort of human error the company meant to avoid by using an automated time tracking system. In contrast, a high-quality time clock can continue to collect time and attendance data even with an outage. The terminal should have a backup battery power that keeps it running in the event of a power outage. It should also have enough data storage space where it can hold onto employee punch data until the network is working again. The time clock approach ensures that the company doesn’t risk having to revert to manual time collection practices for any period of time. The main advantage of mobile time tracking apps is that it allows field service agents to clock in and out no matter where they’re working. The ability to collect offsite, work shift data through mobile apps fills a huge gap that existed in time and attendance systems. Yet there remain legal, HR, IT, and financial issues around the use of mobile apps to collect work time. 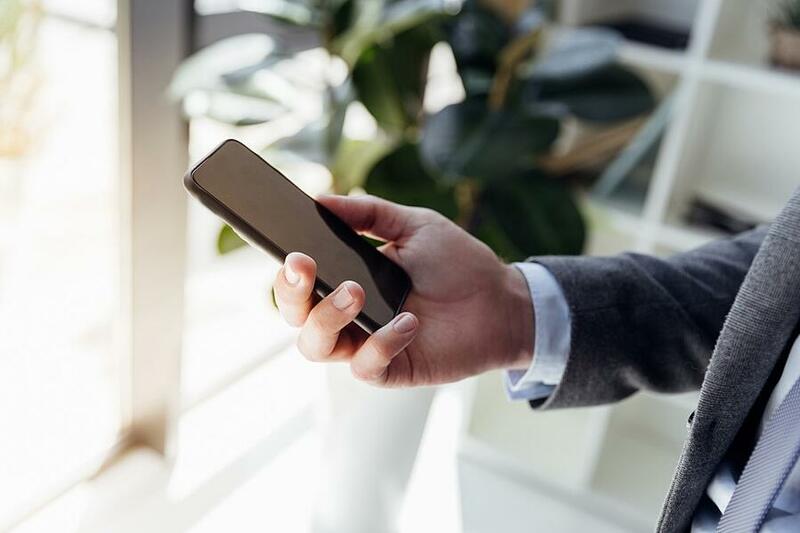 There are legal questions about whether companies can require workers to install apps on their personal mobile devices, as well as IT security issues. Some companies find it worth the expense of providing company-owned mobile devices to sidestep these issues, but then brush up against other potential legal issues, such as GPS-tracking employees. Companies that do move forward with mobile app time tracking may determine that they can minimize their overhead and risk on this issue by limiting their use to only those workers that are in the field. Everyone working onsite will use the time clocks installed to clock in and out. Offering onsite workers with an app option to punch in and out provides them flexibility and convenience only if it’s one option with a time clock as backup. Workers in many industries, such as healthcare and hospitality, don’t have individual computers at which they can clock in and out. Mobile phones don’t always connect and often seem to run low on battery power at the worst times. Having time clocks available is the most reliable and efficient option. Shift workers who need to get on the line or on the floor quickly need a quick way to clock in. They certainly don’t want to have wait long after shift to clock out – nor do companies want to pay for that nonproductive time. Time clocks are a cost-efficient option that ensures timely clocking in and out. Mobile time tracking apps are a fantastic – and often the only – option for field service agents who don’t work at an employer-controlled worksite. Computer apps are an option for companies with office-based workers who each have their own computers, but even this has its risks, as noted above, if computers are the only option to track time and attendance data. The key to providing flexibility and the maximizing the uptime of an automated time tracking system is to include the right time clock into the mix of data collection options.